Did you know that unlike becoming a certified interior designer, which has strict requirements including two to five years of post–secondary education in interior design, you can become an interior decorator immediately? That is because there is a significant difference between the type of work that an interior decorator does and the type of work that a designer does. While an interior designer can help you decorate different rooms in your house, they also learn how to work with contractors to renovate your home which includes adding on additions, moving interior walls, reconstructing kitchens, bathrooms, and so on. An interior decorator is not involved in the construction aspects. They are called upon to design the look and feel of a room, from furniture layout to color schemes. Many people have the natural ability to do just that. If you have a natural talent for design and enjoy working with people, consider starting a small business as an interior decorator. As your business grows you will most likely find yourself spending time in many beautiful homes where you can help homeowners design the room of their dreams. You will help them choose the right colors and fabrics and even go on shopping trips for new furniture, window treatments and décor items. 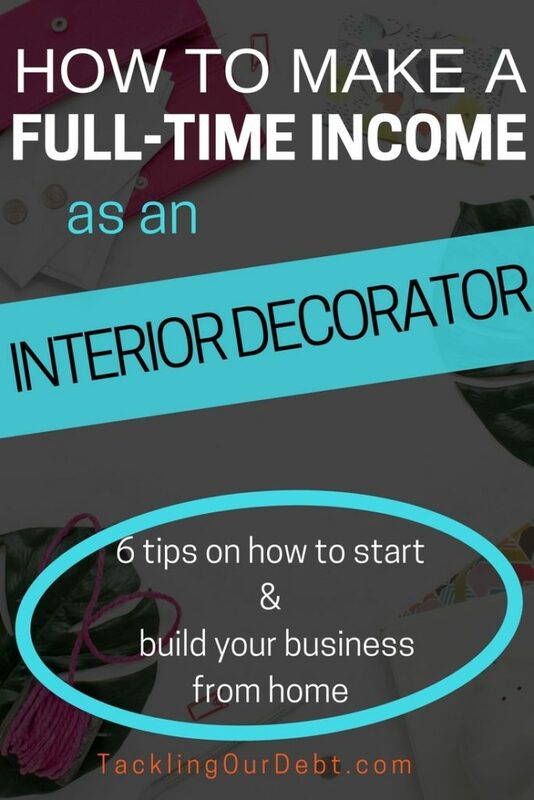 As long as you have the desire, you can become an interior decorator. 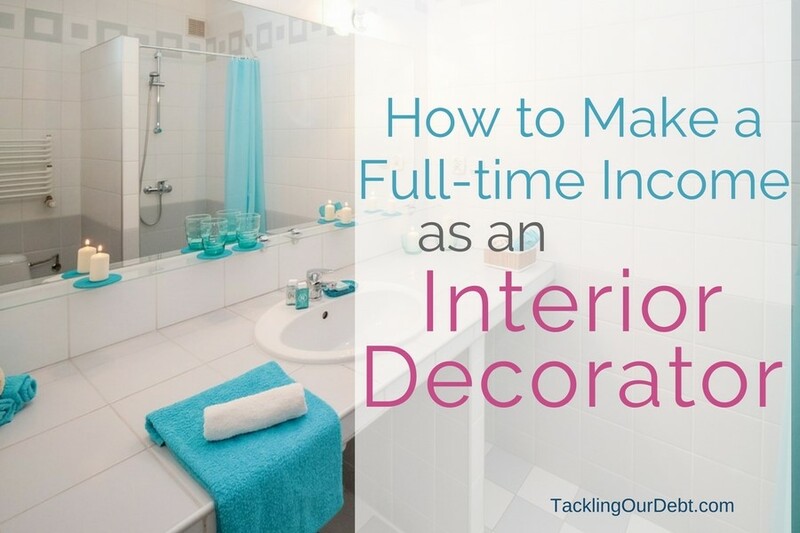 Let’s talk about tips on how to become an interior decorator. No matter how naturally talented you are, you can continually “train your eye” by studying what people consider to be good design. You can find many examples of beautiful interiors in design magazines, both paper based and online. You can also spend time visiting show homes to see what other interior decorators are doing and to discover the latest trends in interior décor. As an interior decorator you will be expected to know about the various elements involved in decorating such as how to arrange furniture and other items within a particular room. You will also need to learn how to develop a lighting plan and beautiful color scheme for each room. Plus, you want to learn about the different types of furniture styles and the different types of floorings, wall coverings, and window treatments that are available these days. Check to see if your local community college offers any continuing education courses for interior decorators, and sign up. There are many benefits to volunteering your interior decorating services. The two most important ones are gaining decorating experience and making new contacts in the hopes of obtaining word of mouth referrals for your business. Ask friends and family members if you may help them redecorate their home. If a new neighbor moves in, offer your assistance in setting up their furniture in their new home. If you have any Realtor friends ask them if you can help stage any of the homes that they are trying to sell. Always remember to take before and after pictures so that you can build a portfolio of your work for your business. You will want to select a name for your business and decide whether to incorporate or not. As a small interior design business you will need to check with your city hall to see if you require any business permits. Of course this will vary depending on whether you choose to open an office somewhere or to work out of your home. Finances are also something you will definitely need to address. Will you talk to a bank that offers business loans and financing for small businesses, or will you use your own money to finance your small business at first? Marketing your small business is easier than ever with the help of the Internet and social media. Once you have good pictures for your portfolio you should get a website designed for your business. To save yourself time and money you will definitely want to learn how to market your small business on a shoestring budget. As an interior decorator you will be working with many different types of people, including clients, suppliers, contractors, and Realtors. Suppliers are companies that supply the products and services you need to decorate your client’s homes. They include manufacturers of furniture, window coverings, flooring, paint and fabrics. You will also want to build a strong working relationship with good contractors that do painting, sewing, and carpentry. Another business that you will want to work with is one that knows how to reupholster furniture. Keep in mind that when you go shopping as a professional interior decorator on behalf of your clients, you may be entitled to “designer discounts” of up to 50% off the regular retail price which you can pass on to clients. Before you begin shopping visit local furniture stores and speak to their management about working with them and the type of deals that they will offer you. When it comes to making money, some interior decorators charge an hourly rate or a flat fee, while others charge “cost–plus.” For example, if your cost for a product is 40% percent below the regular retail price, you could charge the client your cost plus 20%, thereby saving the client the other 20% they would pay to buy the same item at a retail store. This opportunity to save money on decorating may convince clients to hire you.